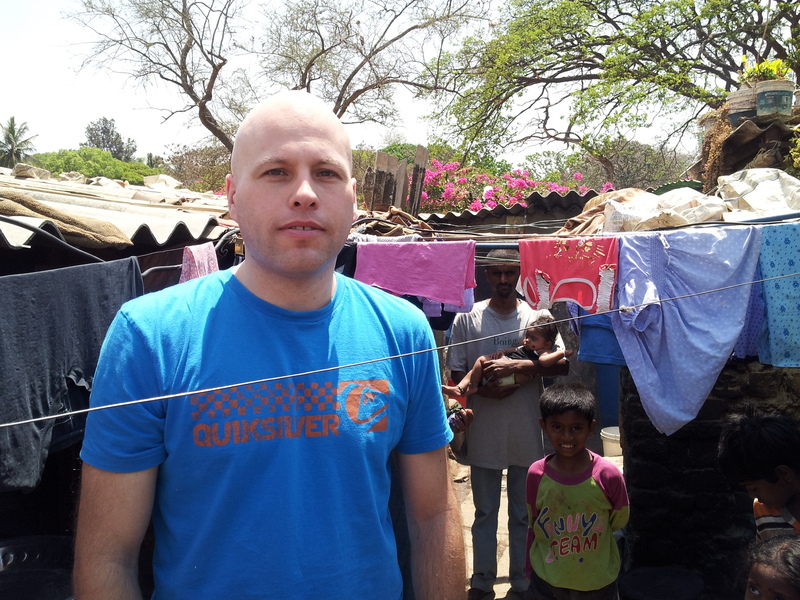 After having lived and worked in India in 2007 I was very excited to visit this amazing country again in March 2012. This time my destination was Bangalore. Although I lived in India (Delhi) I’ve never visited Bangalore and knew it only as the IT capital of India. Like all big cities in India it’s crowded, noisy, smelly, has extremely busy traffic, etc…… anyway, some people would call it lively. 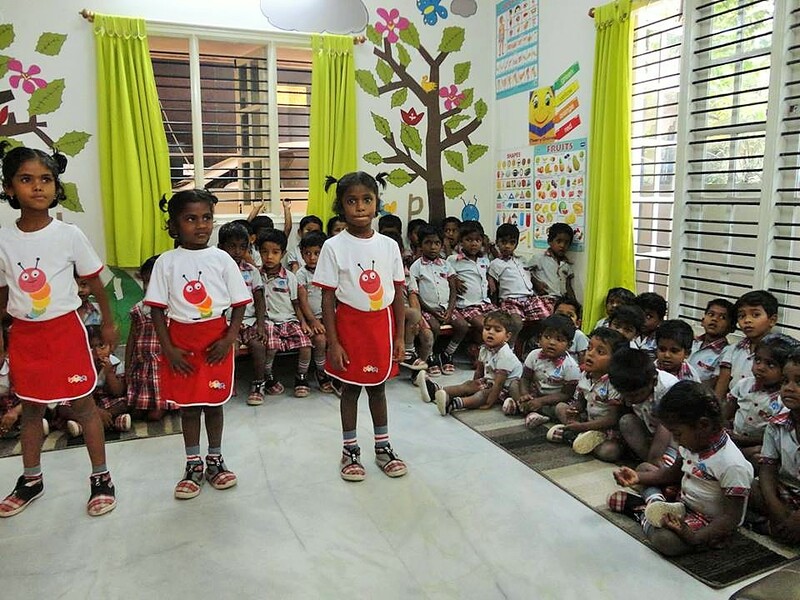 The main objective of my travels to Bangalore was to visit the AlphaBet Club/Building Blocks pre schools. Since 2009 I’ve been volunteering for ABC (event organization and finance) and an important reason to get involved was to make a difference for the kids living in the slums. 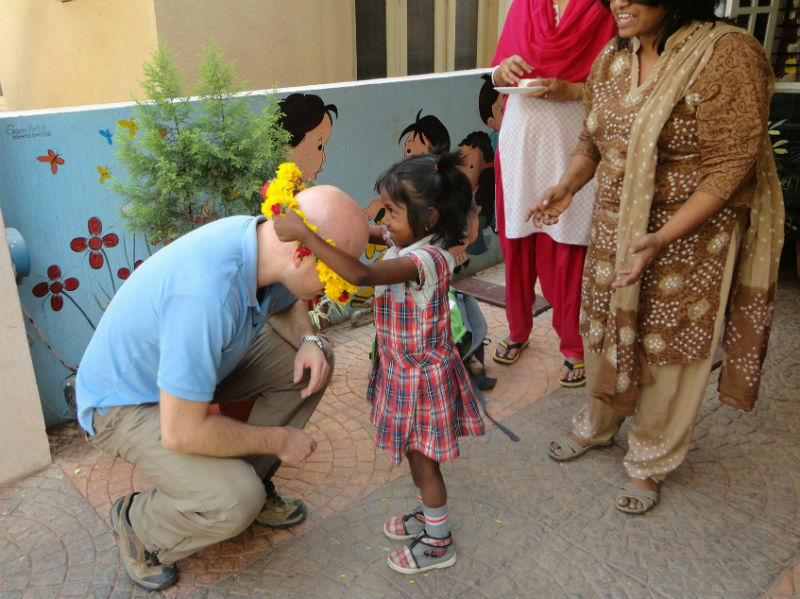 On my trip I spent multiple days in several slums in Bangalore and visited the different pre schools of Building Blocks. It’s hard to imagine how the families in the slums have to live: extremely small houses, no running water, only a few toilets for the whole slum, families with 3 to 5 kids and parents that have no or badly paid jobs. Despite these poor circumstances I got a very warm welcome from the parents and kids, However it’s clear that without some outside help and support these children are not able to break the cycle of poverty. When I visited the pre schools I was positively surprised! The schools were set up in nice clean buildings, right next to the slums and the kids were kind, happy and disciplined, all dressed in uniforms. They get 6 days per week of classes in English and are served 2 meals per day. And it’s great to see them play on fun, safe playgrounds while being attended to by a caring and passionate staff. A child can actually be a kid at ABC Schools and play in a safe environment instead of working or running around in the slums or on the streets. And next to that they are getting nutritious meals and a good education. All things are available to give these small kids a better life and a better change to enter a good primary school. A big surprise was a great song and dance the children performed for me. Super sweet and a very warm welcome! Something I’ll not easily forget! I knew the schools were good but James Ambat (Founder of Building Blocks) and his staff deserve a big compliment for the positive change they are making in the slums. Looking back at my trip to Bangalore it makes me realize again how privileged we are in Europe/Netherlands. It’s great to be able to make a difference in the children’s lives by organizing all the fun AlphaBet Club activities in the Netherlands. 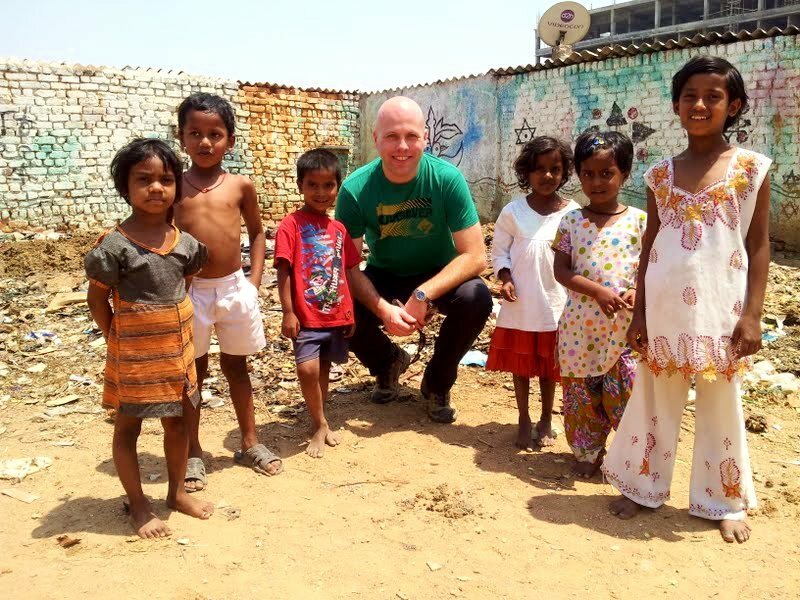 On behalf of AlphaBet Club, we’d like to not only thank Brian for visiting India and to experience ABC School Projects first hand and later share this testimonial, but for the countless hours he’s volunteered with AlphaBet Club running Amsterdam Events and Finance the last years. Thank You, Brian!